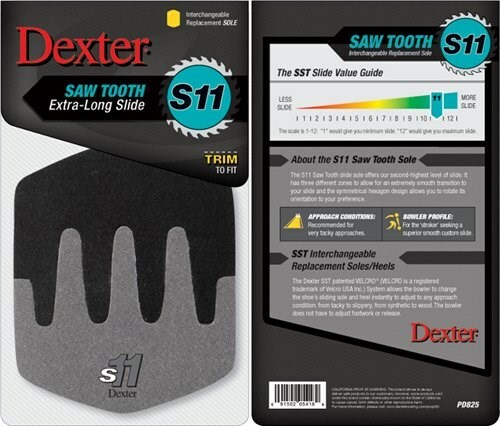 The Dexter S11 Sawtooth Slide Sole was created for bowlers who like to slide really long with little resistance. 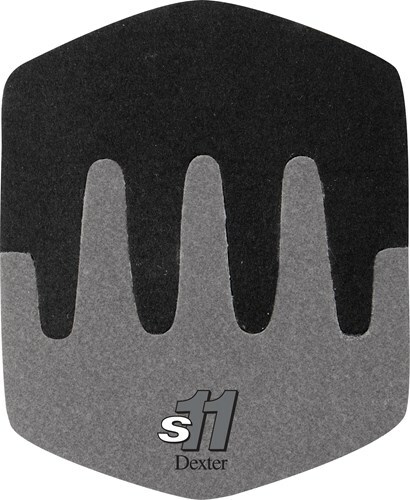 By integrating 2 different materials (Grey felt with Black Ice) Dexter designed a slide that has 3 different zones including the middle section that combines the two materials in a sawtooth pattern. This design provides a smooth transition during your sliding approach. Approach Conditions: Recommended for very tacky approaches. What is the difference between a sawtooth design and a regular design? Also if the shoe I have in THE 9 is a 10 1/2 Wide, should I get the large replacement sole or the medium? The Sawtooth has two in one sliding pads. 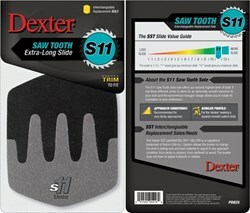 Due to the time it takes to produce the Dexter SST Saw Tooth S11 Slide Sole ball it will ship in immediately. We cannot ship this ball outside the United States.